Apple’s release of Logic Pro 9.1 two days before the NAMM music show in Anaheim, Calif. last week caused quite a stir on the show floor with developers, engineers and users. 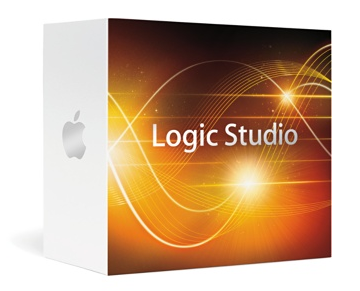 Among its major changes, Logic Pro is now a 64-bit application. We’ve all heard about 64-bit apps before, but in practical terms, it will help music producers and songwriters create better music. That may sound like somewhat of a stretch, but it’s true. All 32-bit applications have a memory limit limit of 4GB. That means that after system memory has been accounted for, the most memory an app can use is 4GB. However, a 64-bit application’s memory usage is virtually unlimited. This is especially important when using plug-ins with large sample libraries. One company at the show that immediately took advantage of the 64-bit version of Logic was Spectrasonics. Spectrasonics showed off 64-bit versions of its entire product line at NAMM, which is no small feat considering Logic 9.1 was announced just two days before the show started. The company was obviously prepared for the move to 64-bit, and company founder Eric Persing said his customers will see immediate benefits in Logic. To give you an idea of what kind of overhead we’re dealing with, let’s look at Spectrasonics’ Trilian Total Bass. Persing said that just one bass in the collection contains about 21,000 samples — there are about 1,200 basses in the entire package. That’s just one package and one instrument. Add Omnisphere, Stylus and other plug-ins to your project and it’s easy to see how Logic Pro 64-bit is going to help users create music. Other companies are set to take advantage of Logic’s move to 64-bit too. Plug-in maker McDSP just announced its Audio Unit plug-ins and told The Loop that they are working on 64-bit versions too. Drum sample-maker Toontrack Music said they are looking at bringing all of their products to 64-bit, but didn’t have a firm timeline for their release. “Superior [Drummer] definitely needs to go 64-bit first and in all likelihood it will be the first,” said Toontrack’s Andreas Sundgren. One problem plug-in makers face is with the Pace Anti-Piracy technology. Currently, Pace requires plug-ins to be 32-bit, so some plug-ins may take longer than others before making the move to 64-bit. Pace declined to comment for this story. Luckily Apple has been proactive in allowing users to take advantage of Logic Pro 64-bit while still using 32-bit plug-ins. With the release of Logic Pro 9.1, Apple included Audio Unit 32-bit Bridge, a seamless way for 32-bit plug-ins to be recognized while running the application in 64-bit mode. It’s not just plug-in makers that were talking about Logic Pro at NAMM, professional engineers were ecstatic about the news. Vanston is currently working with Jeff “Skunk” Baxter and has worked with many artists in the past including Steve Vai, Tina Turner, Celine Dion, Joe Cocker, Ringo Starr, B.B. King, David Crosby and others. “The 64-bit gauntlet has been thrown down by Apple with Logic,” said Vanston.